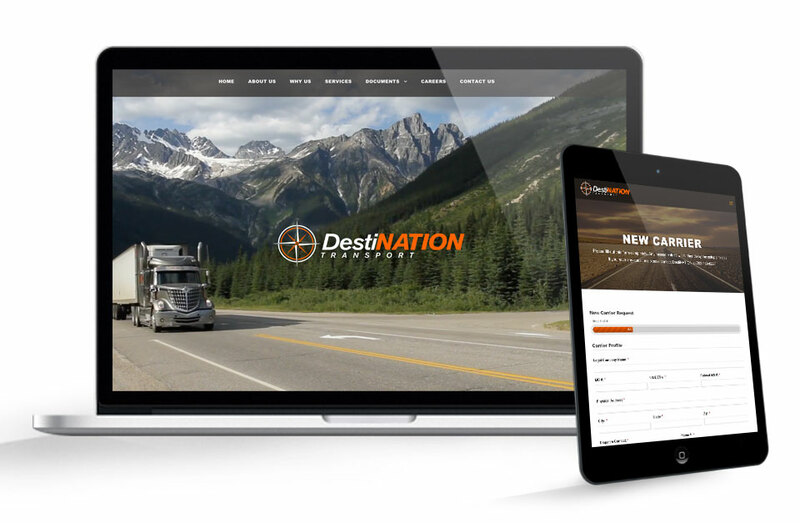 Destination Transport wanted a new website. Customers and transportation partners judge the quality of the business based upon the attractiveness of the website. While it is important to not judge a book by its cover, it takes more time to research than to just judge and move on. Destination was introduced to Iceberg Web Design and purchased one of our custom design packages. Following the Iceberg Web Design project exploration process we began identifying the needs of Destination Transport. People are often limited by our life experiences in imagining what is possible. Additional needs were identified through our process. Setting up new transportation partners required a contracting process, where a pdf was forwarded to them. The form could be filled out electronically, but not every field was required, in turn, Destination Transport had to go through every contract to verify all the right information was completed accurately. 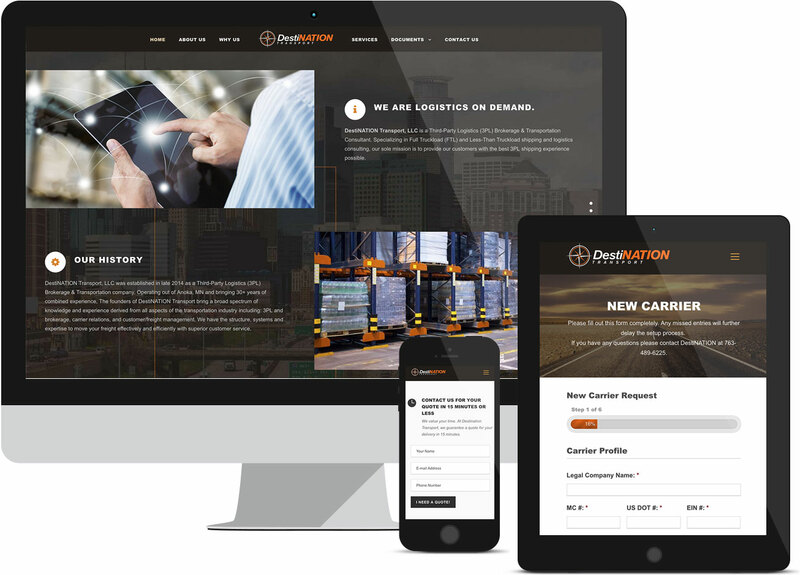 Derek, Co-owner of Destination Transport talks about his experience working with Minneapolis and Anoka website development company, Iceberg Web Design. 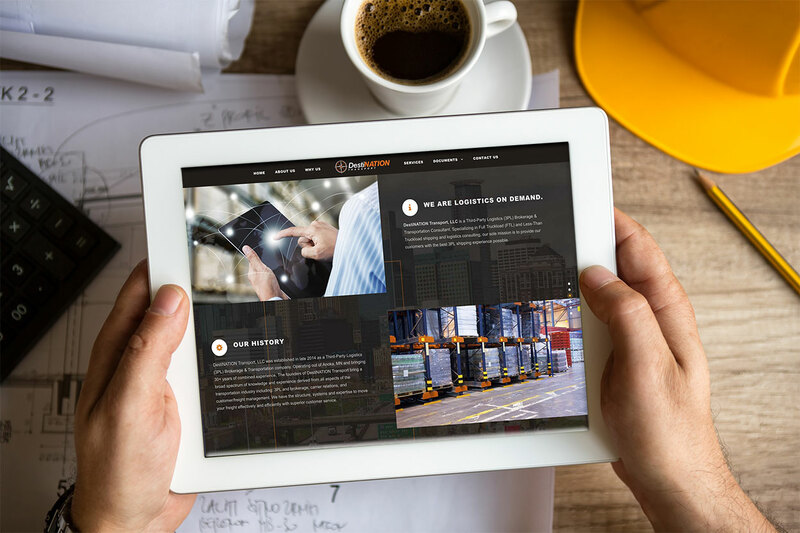 Derek talks about technology that was implemented on their new website, that improved internal processes and has saved their company time and money. He also speaks about the customer service experience they have received with Iceberg. Click on a photo to view full size or visit www.destinationtrans.com live. 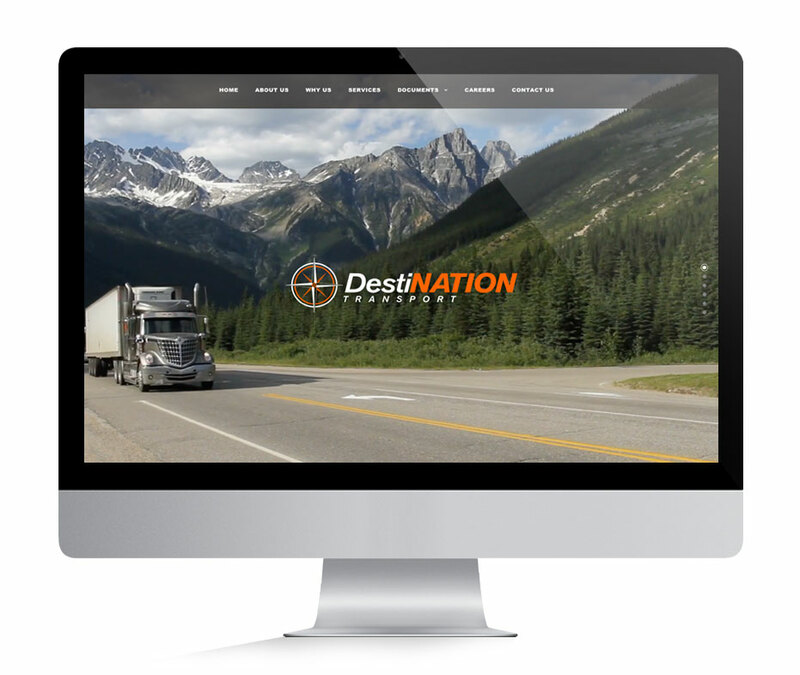 Destination Transport received an attractive website that builds trust with both customers and transportation partners. Iceberg was able to setup the website so the contract used conditional logic. What this meant for them was the form would change on the fly requiring only the correct information every time. The client was able to sign the contract with their mouse from a desktop or with their finger from their phone for an increased security and validation compared to typing in their name with the prior pdf. Ultimately, this saved time for Destination Transport team members not having to verify they have all the right information completed, but also a new transportation partner having to fill out only the pertinent information they needed. The completed contract now shows up in their mailbox to file in the correct folder. We can look at this as either a cost savings or enabling the team to spend more time growing the business, either way it is a huge win. From a time savings standpoint, about 45 minutes per contract. The transportation partnerships are being setup at a rate of 50+ every single week. At an employee hourly rate of ~$20 per hour, and 45 minutes per contract this is around $750 saved every week. If we multiply this across working weeks in a year, the result is about $37,500 per year. 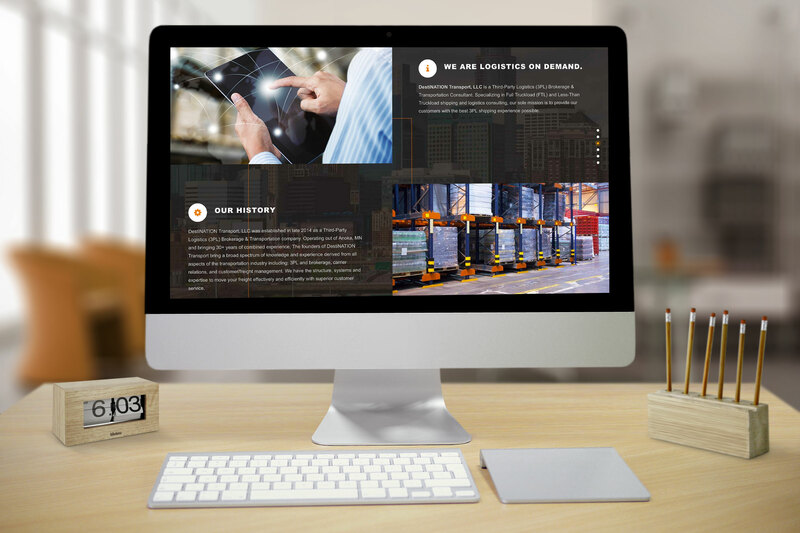 Do you want to see how Iceberg Web Design can help your business save time and money like we did with Destination Transport? We can help you identify which processes we may be able to streamline through your website. Call our online marketing team today or fill out the form here for your free, no obligation consultation.